Total Organic Carbon, referred to as TOC, is a measurement providing one of several facets to indicate the purity of a water sample or stream. Organic contamination in water for use in power generation, semiconductor manufacturing, and pharmaceutical production poses a number of operational risks or quality failures that can substantially impact process output. The elevated presence of carbon compounds in certain purified water sources can be an indicator that water treatment processes are not performing properly and need attention. The measurement technology involves oxidation of carbon compounds in the presence of UV light and measuring sample conductivity. Processing of the raw measurement yields a value for TOC. Analytical instruments benefit from having features and attributes that lessen the need for human involvement and deliver rapid and accurate results. 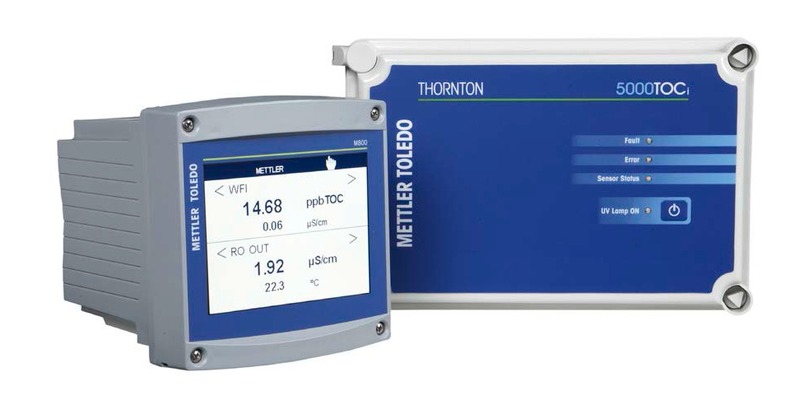 Mettler Toledo provides an advanced solution for TOC measurement with it 5000TOCi analyzer. More detail is provided in the document below. Share your process analytic challenges with fluid process specialists. Leverage your own knowledge and experience with their product application expertise to develop effective solutions. TOC Total Organic Carbon Analyzer from Alliance Technical Sales, Inc. Image courtesy Electron Machine Corp.
Sugar cane, after harvesting, requires processing within a limited time window to avoid sugar loss by inversion to glucose and fructose. The traditional two stage process, milling and processing, may be combined in a single modern production facility. 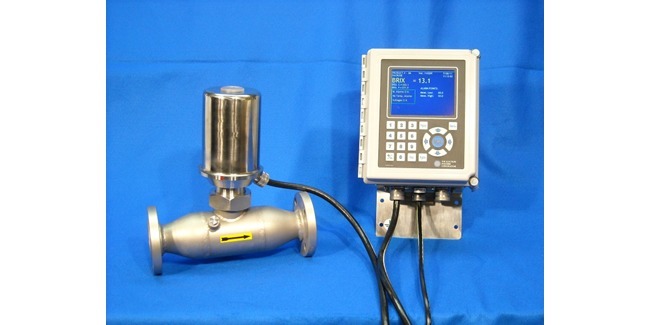 Process refractometers can be found in both operations, making an optical measurement of a solution’s refractive index used to determine the concentration of dissolved solids. To achieve high quality liquid and crystal sugars and contain production cost, refractometers are employed to deliver accurate in-line Brix and other measurements in the cane sugar refining and milling processes. Product flow adaptation to evaporator capacity to achieve energy savings. Extraction process optimization, minimizing the use of water that will need to be removed at the evaporator. Separation column feed juice control to adjust concentration to match capacity. Quality assurance check on liquid bulk sugar and molasses. Vacuum pan automatic and accurate seeding. Monitor supersaturation over complete strike of crystallization. Share your process analytic and measurement challenges with the experts at application specialists, leveraging your own process knowledge and experience with their product application expertise to develop an effective solution. 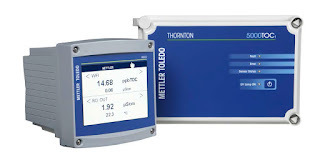 Mettler Toldeo, under their Thornton brand, employs Microfluidic Capillary Electrophoresis in the on-line measurement of chlorides and sulfates. This measurement system delivers actionable measurements of these potentially harmful water constituents, enabling timely corrective action to be taken and prevent damage to turbines and other steam utilization equipment. The MCE technology is currently available on Thornton's 3000CS Analyzer which provides on-line measurements every 45 minutes. The system reduces cost of ownership and provides faster results than methods requiring sampling and off-line processing. Share your steam system and fluid analytical challenges with fluid process analytic specialists, combining your own knowledge and experience with their product application expertise to develop effective solutions. Image courtesy Smart Sensors, Inc. There are more temperature controlled operations than any of us could count in a lifetime. Each one exhibits an exclusive set of performance requirements and design challenges. Matching the means of temperature measurement, the control loop characteristics, and heat delivery method to the application are essential to achieving successful operation. Step one is to measure the process temperature. This sounds simple until you start researching products and technologies for measuring temperature. Like the temperature controlled operations mentioned previously, there are more than you can count in a lifetime. To filter the possible candidates for temperature sensing devices, consider these aspects of your application and how well a particular sensor may fulfill your requirement. Response Time - How rapidly the sensor will detect a change in process temperature is a function of how the sensor is constructed and how it is installed. Most temperature sensors are enclosed or encapsulated to provide protection for the somewhat vulnerable sensing element. Greater mass surrounding the sensing element will slow sensor response. Whether the slower response time will adversely impact process operation needs to be considered. 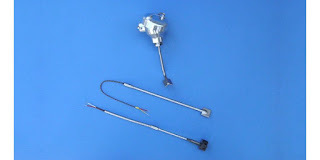 More consideration is due to the manner in which the temperature sensor assembly is installed. Not all applications involve a fluid in which the sensor assembly can be conveniently immersed, and even these applications benefit from careful sensor placement. Accuracy - Know what your process needs to be effective. Greater levels of accuracy will generally cost more, possibly require more care and attention to assure the accuracy is maintained. Accuracy is mostly related to the type of sensor, be it RTD, thermocouple, or another type. Sensitivity - Related to the construction, installation, and type of sensor, think of sensitivity as the smallest step change in process temperature that the sensor will reliably report. The needs of the process should dictate the level of sensitivity specified for the temperature sensor assembly. Let's look at a very simple application. Heat tracing of piping systems is a common application throughout commercial and industrial settings experiencing periods of cold weather. Electric heat trace installations benefit from having some sort of control over the energy input. This control prevents excessive heating of the piping or applying heat when none is required, a substantial energy saving effort. A temperature sensor can be installed beneath the piping's insulation layer, strapped to the pipe outer surface. One sensor design option available to improve the performance of the sensor is a surface pad. The surface pad is a metal fixture welded to the sensing end of a temperature sensor assembly. It can be flat, for surface temperature measurements, or angled for installation on a curved surface, like a pipe. The increased surface contact achieved with the surface pad promotes the conduction of heat to the sensor element from the heated pipe in our example. This serves to reduce and improve the response time of the sensor. Adding some thermally conductive paste between the pad and the pipe surface can further enhance the performance. While the illustration is simple, the concepts apply across a broad range of potential applications that do not allow immersion of the temperature assembly in a fluid. A simple modification or addition of an option to a standard sensor assembly can deliver substantially improved measurement results in many cases. Share your temperature measurement requirements and challenges with a process measurement specialist. Leverage your own process knowledge and experience with their product application expertise. Surface Temperature Sensors and Transmitters for Industrial Applications from Alliance Technical Sales, Inc.